Lindsay has always enjoyed staying active; some of her favorite activities are playing soccer and running. 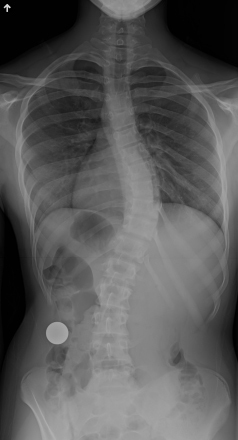 While in middle school, Lindsay was diagnosed with scoliosis. Because of her young age and the degree of the curve, her family doctor suggested watchful waiting. However, one year later, her spinal curve had worsened noticeably. Her doctor then suggested bracing to help prevent additional curving. Lindsay wore the brace as much as she could for about a year. She also tried other conservative treatments for her scoliosis, including chiropractic care and specialized physical therapy. Both offered some temporary relief from muscle pain and helped with the appearance of her spinal curve. But, as years went by, Lindsay’s spinal curve continued to progress beyond skeletal maturity and was at 54 degrees. At that point, Lindsay, age 19, and her parents knew surgery would likely be necessary to correct her curve. Lindsay’s mother, Anita, researched online to learn about the latest scoliosis surgery techniques, including a minimally invasive option. Traditional open scoliosis surgery, which requires one long incision, can often be very complicated. A minimally invasive approach involves three small incisions and muscle-sparing surgical techniques. Other advantages may include shorter hospital stays, less pain and a faster return to normal activity. Anita learned that very few surgeons can perform minimally invasive scoliosis surgery, and dual pediatric and adult fellowship-trained scoliosis and spine surgeon, Dr. Matthew Geck of the Scoliosis Texas in Austin, Texas, is one of them. Although Lindsay’s family lives in Florida, they were willing to travel for the procedure. Anita sent Lindsay’s most recent X-rays to Dr. Geck for review. He then suggested that they travel to Austin for a consultation. At the appointment, new diagnostics were ordered and Dr. Geck discussed the treatment options with Lindsay and her parents, including minimally invasive surgery. After meeting with Dr. Geck, Lindsay and her parents decided to move forward with the procedure. 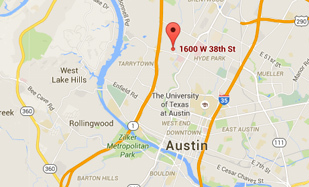 A few weeks later they returned to Austin and Dr. Geck performed the surgery. Afterward, Lindsay was able to get out of bed almost immediately – though her recovery was not easy. The family stayed in the Austin area for a couple of weeks before returning home to Florida. A large part of Lindsay’s recovery included walking. She started with short distances and gradually increased the distance she walked at a time. Today, Lindsay is attending college and enjoying life. She is getting used to her new “normal posture” — a straight back.